Join us Apr. 19th at 10:00 AM for our Monthly Open Play-date! *MOMSClub is not affiliated with any church or religious groups. Monthly Play-dates are open to all prospective and current members of our club! 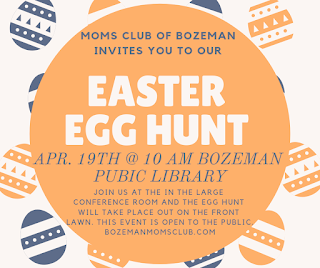 If you want to join us for the event(s) listed below feel free to just stop in or you can contact our membership coordinator at bozemanmoms@gmail.com for more information. If the date of the play-date doesn't work for you, our membership coordinator can let you know about other options! 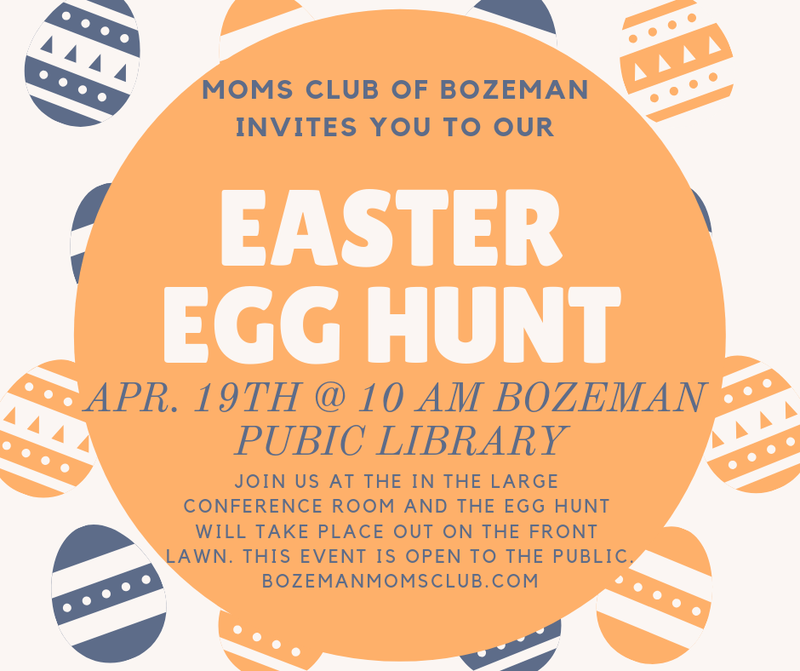 Moms Club of Bozeman. HPW 2014. Simple theme. Powered by Blogger.